Rabbi Charles Sherman’s son Eyal was four years old in 1986 when doctors discovered he had a dangerous legion on his brainstem. 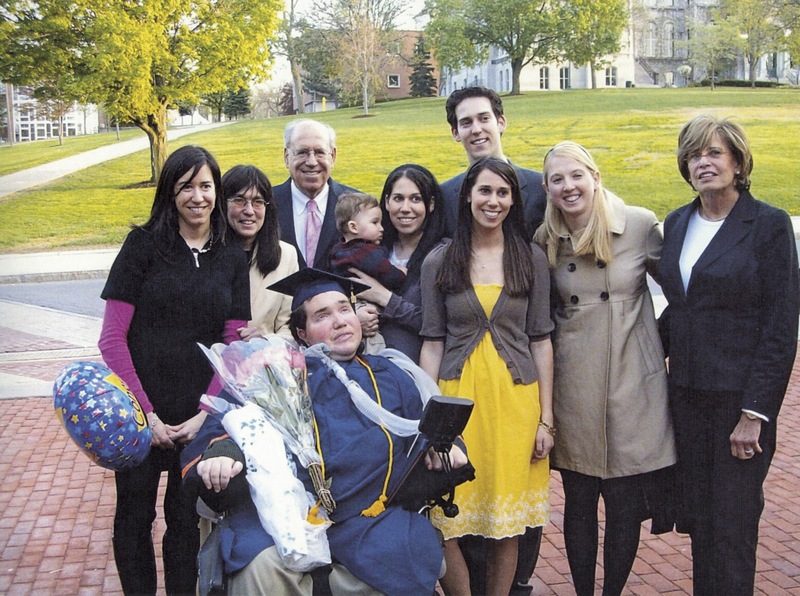 Surgery to remove the tumor caused a massive stroke, and Eyal became a quadriplegic. He would never be able to walk, talk, feed or breathe on his own, although his brain and intellect remain intact. Eyal, who is now 32, became trapped inside his own body. Sherman, who has served for many years as the spiritual leader of the Conservative Temple Adath Yeshurun in Syracuse, New York, had long wanted to write a book about his and his family’s experience, but it was not until recently that he found the right way to tell it. On the advice of a literary agent, Sherman decided to shape his story in a way that could help other people facing challenges in life, no matter how similar or different from the ones faced by Sherman and his family. “The Broken and The Whole: Discovering Joy After Heartbreak” was recently published by Scribner. This piece was first published on the Arty Semite blog of the Forward. For the many people walking through New York’s Lower East Side on any given day, 70 Hester Street is just one of many historic buildings. But for 37-year-old filmmaker Casimir Nozkowski, this former synagogue is home. 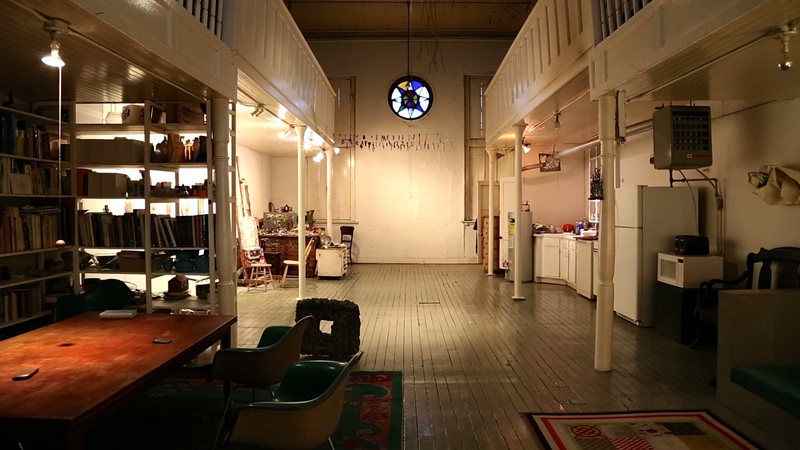 He grew up in the loft space on the upper two floors, which his artist parents, Thomas Nozkowski and Joyce Robins, used as their studio for 45 years until they were evicted in 2012. With a sense that 70 Hester Street would likely the suffer the fate of so many other buildings in the old neighbourhood and be torn down to make way for a new, sleek condominium or commercial space, Nozkowski started filming his childhood home in June 2012. His premonition turned out to be correct. Not long after, his parents received notice that the building was being sold and that they, as rental tenants, would have to move out. “I went in to overdrive when we got the eviction notice,” Nozkowski told the Forward. “I started editing as I was still filming, and finished the film toward the end of 2013.” Fortunately, he completed the documentary in time to submit it for the 2014 Tribeca Film Festival, which accepted it for its City Limits: New York Shorts program. In its world premiere, “70 Hester Street” will be screened five times between April 17 and 27. Click here to read to read more and watch the trailer. More than 40 years after the Reform movement ordained the first American woman rabbi, the majority of US Jews have come to accept women as members of the clergy. Like most women today, these rabbis tend to wear many hats and juggle multiple identities, often that of clergy, wife and mother. Increasingly, however, some female rabbis are remaining single, but still donning the mantle of motherhood. And they make no apologies for doing so. “There is nothing wrong with how I live my life,” says Rabbi Lisa Gelber, one of the subjects of “All Of The Above,” a new documentary film about women rabbis who have become single mothers by choice that will air on ABC affiliates nationwide beginning on March 23.